If someone asked you what period in human life is likely to be the loneliest, what would you say? Fortunately there are loneliness researchers who care about this common experience and have answers for us. You might think this topic is frivolous but the link between social isolation and emotional and physical vulnerability is a serious issue. According to researchers, loneliness should be viewed the same way as physical pain but on a social level. When it comes to being lonely you might have guessed seniors and you would have been right. Forty percent of seniors say they feel lonely sometimes which is correlated with increased cardiovascular, blood pressure problems, dementia, and other mental health issues. But surprisingly, seniors were not the loneliest group of people – teenagers were. Eighty percent of teens said they felt lonely sometimes. What is this about and how do we start to make sense of this? Adolescence can be a time of turmoil given that one’s identity should be changing (think of it like a house that is undergoing renovation).When you are in the midst of transformation you no longer have the comforting sureness of knowing yourself as well as you once did. The teens relationships with others and oneself is changing and they can second guess others as well as their own actions. They see possibilities where things used to be certain and they can feel overwhelmed by the responsibilities that come with getting older. While parents hold onto the idea maturity that is around the corner, the process of getting there with a teen can feel messy, emotional, and unpredictable at times. One minute a teen can seem agreeable but they can easily switch to being disagreeable to parental suggestions. Loneliness seems to come out of the blue despite the number of friends a teen has or the amount of social interaction in their life. But why so much loneliness – where does this come from? There is a natural distancing from adults that is both welcome and daunting in the teen years. In one breath the teen acts like a child and longs to be cared for by a parent, only in the next moment to crave their independence and freedom. The dilemma for the teen is they are neither child nor adult – they are in the ‘in between place’. They are somewhere on the bridge crossing the divide between childhood into adulthood. I feel for them, I remember being there, it often felt agonizing. The anthem for teenage years should be – “Everybody’s changing and I don’t feel the same” (compliments of the band Keane), but of course the irony is that it is actually the teen that is changing the most of all. How can we help our teens transition into adulthood? What do they need from the adults in their life as they take the steering wheel in their own life? What role do we play in helping them give birth to their adult selves? Given that many teens wouldn’t know how to articulate what they need due to overwhelm or that sometimes they are trying to ‘do it themself,’ I have included 5 things here that I think they would really like the adults in their life to understand about them. For the teen to (re)discover who they are, they will need room to reflect. Teens need muses to help them along this path – from music, to art, writing, dance, or nature – and the freedom to explore these things without feeling the need to produce something. Giving birth to a new identity is an active process that requires movement and expression and must be free from the pressure to perform. This means they need to have space preserved away from distractions like screens, peers, siblings, work, and school. They need room for the voids in their life to emerge and to be filled with a sense of who they are. And it is in this vacuum – where things are not filled up, nor overflowing with things to do or learn – that teens can discover who they are. The role of adults in their life is to hold back the tide of distraction that threatens to drown out a teens emerging voice. It is the role of the adults not to push for performance nor fill up their lives with activities. 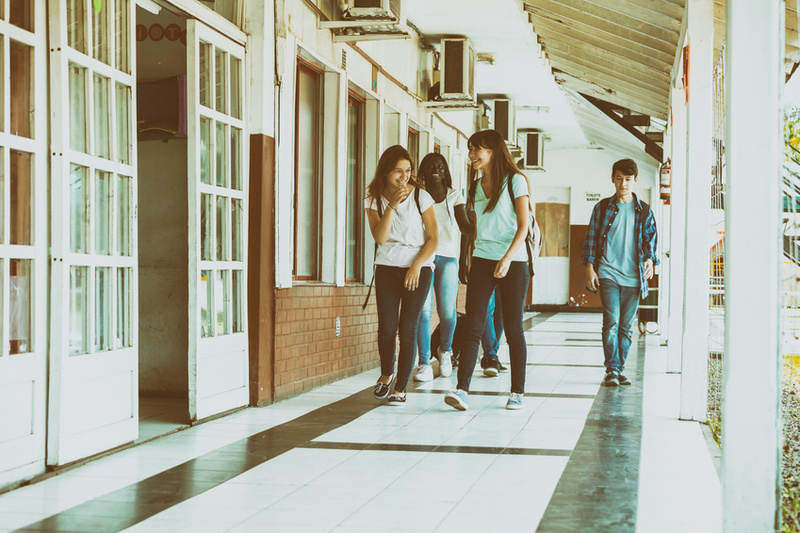 Yes, teens will still have work to do at school or at a chosen activity, but there is a corresponding need to give them room for play and creative solitude without adult pressure and expectations. Adolescent development brings with it changes in the brain and an increased level of awareness. Teens can become more self-conscious and wonder if their new thoughts and feelings are okay. They also have an explosion of ideas and need to test out their theories and how they are making sense of the world. Drawing them out and listening is one of the best gifts you have to give them. Showing an interest in their ideas doesn’t mean you agree with them. Trying to understand their point of view doesn’t mean you have to change your own. Taking a genuine interest in your teen and being curious about how they are making sense of the world will help the teen put the pieces together better in their own head. Teens don’t often like to be pressured to answer questions. They are more likely to be drawn out by just being together in natural ways like walking the dog, going for a drive to do errands, or after school chats over a snack. When teens feel pressured to talk or to share they often close up. Parents who draw their teens out do so by making it safe to talk but not demanding it. They also create a space where a teen feels validated for having their own views without judgment nor fear of reprisal. Teens are some of the most idealistic people around. They are keen observers of the distance between rules and how adults they fail to live up to them. They also set idealistic goals for themself and are blind to the challenges that may lie in their path. It’s hard to argue with a teen who thinks they are right and who has the moral high ground. From a teens changing identity to the changing relationships with others, there are many normal losses that come with growing up. While there is freedom on one side, there is also the responsibility that feels heavy and cumbersome. Teen years bring with it a roller coaster of emotions. When adults normalize these feelings of loss they can help reassure a teen that this is to be expected, that they aren’t broken or messed up, and that they need to face their feelings with courage and to express them however they can. Teens often believe that they are the only person their age who feels sad or worried about their future and the changes happening. Understanding that this is what comes with the rite of passage into adulthood helps bring some ease and reassurance, as well as confidence to face things head on. A teen’s emotions often feel up and down but if a parent notices that sadness isn’t moving through a child and depression is starting to weigh them down, then it may be time to speak to health professionals for help. For some parents, the teenage years can be a time of sadness too as they watch their child strive towards independence and in needing them less. For others, it is a time of celebrating the maturity they see or conversely, worrying if their teen will ever grow up and be less self-absorbed. There are many feelings both for the teen and the parent. What is clear is that teens need parents to be patient and to just keep taking care of them. We don’t need to retire ourselves too prematurely, nor should we cling to them out of our own emotional needs. The good news is that a teen still need parents to lean on, we just need to try and keep a sense of humour as they switch from acting mature to being immature in a matter of minutes. I still laugh remembering my teenage niece argue with her mother that the signs on the side of the road that said to “beware of the bears” were a complete sham and that there were no bears in the area. My sister realized arguing with her was pointless, so she just let her talk and vent her feelings and thoughts. A couple of hours later a bear wandered by their cabin – a perfect message to the mother to hold on and to laugh at the absurd ways of the teen. What teens can’t say and parents need to know is that our job is not done yet – but we do need to think about how we go about caring for them a little differently. We need to find ways to be less direct, to listen more, validate feelings and thoughts where we can, give them room to discover who they are, and keep our relationship strong. Finding ways to be close to a teen without being pushy is imperative as is talking to them without being full of commands. Relationships are for life and when our teens change, we need to change too, and to find new ways to hold onto what is most important to us. Dr. Deborah MacNamara is the Director of Kid’s Best Bet, a family counselling centre, she is on Faculty at the Neufeld Institute, and is the author of Rest, Play, Grow: Making Sense of Preschoolers (or anyone who acts like one), which has been translated into 7 languages.